Believers nationwide are being invited to get prepared for the opportunities this year to see church ‘centre stage’ in their communities. A series of training and information days to be held across the country during February and March are billed as exciting, action-packed days sharing the skills to Equip your Church to be at the Heart of Community. “We all have contacts in the community and we want our friends, neighbours, work colleagues and others to see ‘church’ in a different way. This may be through attending a community event or initiative organised by the local church. "But our training days are not just about organising festivals. We’re also teaming up with Messy Church, which is a fantastic programme that can be used after events to encourage people to take the first steps into church,” said Marty Woods, Europe Director for Fusion Youth and Community, which is offering the training in conjunction with partners Crossing London and HOPE 2014. The training days will offer practical ideas which churches can tailor to local needs, with the aim of getting churches and people talking and working together to connect with their neighbourhoods and communities, as well as reaching out to those who might never consider attending church. 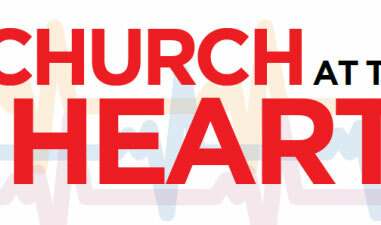 “This year offers UK churches so many ways to engage with their communities. These highly practical days will help churches to identify opportunities, make their choices, and be ready for action. We hope many hundreds of people from churches across the nation will get prepared and equipped for a year of festivals, fun and outreach!" said Marty Woods. Many churches across the UK already have experience of reaching out into their communities – during the 2012 London Olympics over 600,000 people attended community festivals and events hosted by churches. But 2014 is expected to be even more exciting. From summer sporting festivals like the World Cup and the Commonwealth Games, to important dates in the church and the national calendar like the Big Lunch in June and the commemoration of the centenary of the outbreak of World War One, this year presents churches and individual Christians with a host of opportunities to reach out to their communities. For more information about Church at the Heart of Community Training Days ring Kim on 07763513013 and for more information about Fusion Youth and Community go to www.fusionyac.org/ocf. Register online at eventbrite.co.uk. Search for "Heart of Community" and select your venue.